I learned about the culture, especially the spirituality of Africa. I was educated on the traditions that still exist, while seeing the progression of the people and society. I gained enlightenment on inner strength and the ability to endure through hot weather! I know how to drum, sing, and dance in the West African forms. I realize there are many different dialects and English is a common language among the various regions. It was worthwhile. I had no health issues until I purchased a water bottle that was different then the ones the staff had provided for us. Sometimes there were no seatbelt in the cars. I developed friendship with the community and staff there. It was like becoming family with everyone. 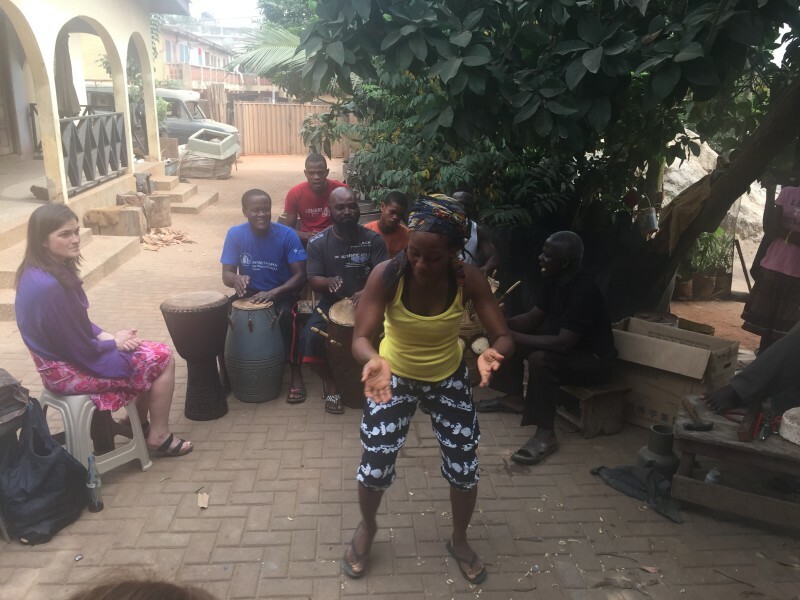 I want to gain more knowledge of the culture and advance in the West African dance/drum training. Not including program expenses, about how much money did you spend on food and other expenses each week? I spent three days on food and water that was about $10 a day. The realness of it all. Prepare everyone on the different lessons they can choose from each staff member at Dagbe Institute prior to arrival. * What do you know now that you wish you knew before going on this program? I wish I knew which language to study out of the different dialects in Ghana. I wish I knew which lessons were available so that I could prepare my budget and time better. Comments: Yes, yet in a positive uplifting way. Yes, we interacted with the community and its leaders along with emerging and engaging with the culture. The two American staff members did a great job on site. The founder and director was impeccable at his job, his communication skills were flawless. I participated equally yet in a different form as I would have at my home institution. We received pre-reading assignments and course readings during or after the trip. This allowed us to understand the culture prior to entering and to reflect after leaving. We have an essay assignment afterwards.